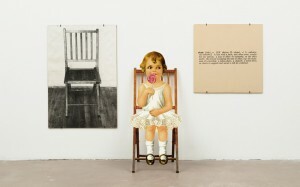 An example of conceptual art, the piece consists of a chair, a photograph of this chair, and an enlarged dictionary definition of the word “chair”. The piece is visual expression of Plato’s concept of The Forms. One and Three Chairs is not meant to be beautiful or to demonstrate any technical artistic skill. 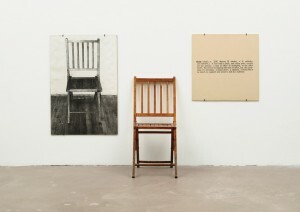 No one has painted a picture of the chair, for example; Kosuth uses only photographic mechanical reproduction. His approach to his subject is highly intellectual and self-referential. He thinks the job of an artist was to investigate and question the nature of art. Here, Kosuth is interested in the play of three distinct ways (objects, pictures, and words) of representing the basic, banal fact of the chair. He forces the viewer to think about how these three modes communicate information. Moreover, the viewer must consider whether the differences among these types of representation are important or whether it is even possible to articulate those differences. 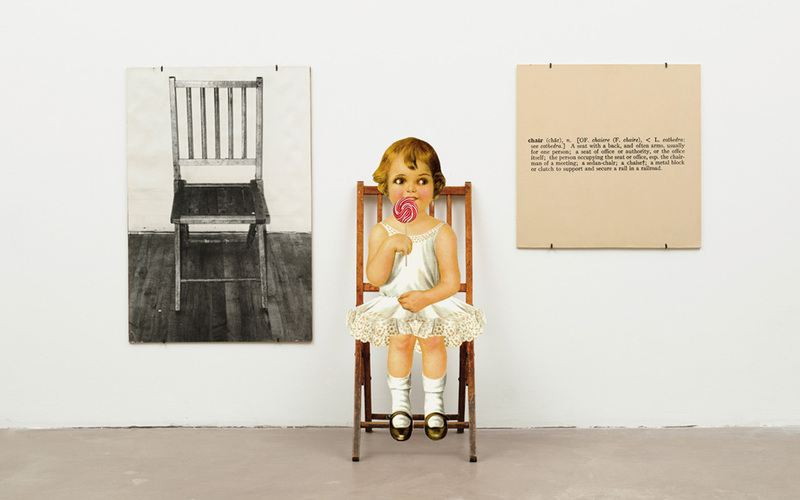 One and Three Chairs is an artwork that challenges its viewers to consider how artworks engage their audiences.